By popular demand, Nam Kao Todt is on the menu! The enigma & allure of Thai cuisine lies not only in adherence to the aforementioned flavor profiles, but also the harmonious fusion of otherwise totally random ingredients. 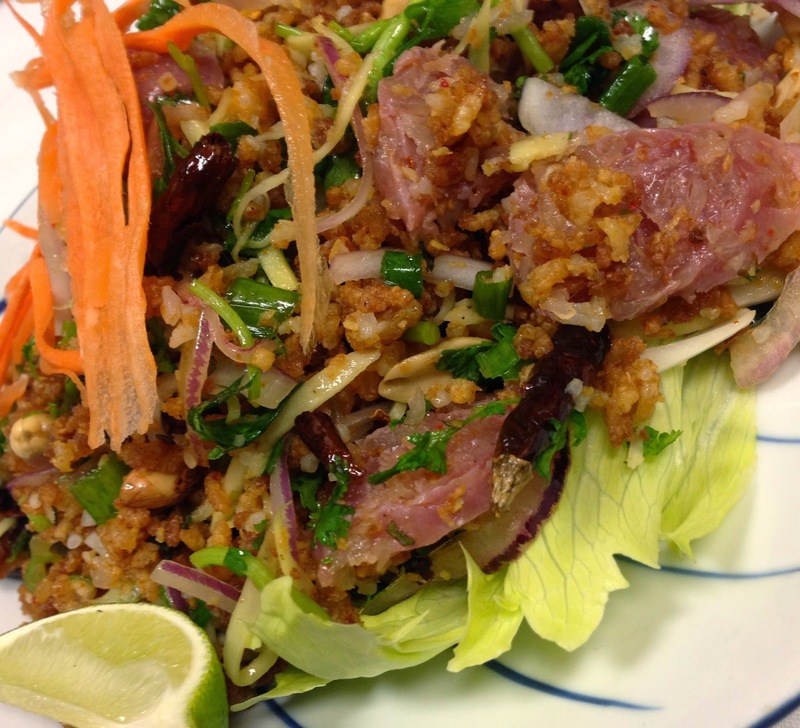 If you love spicy, authentic, country Thai cooking- then Nam Kao Todt is a must try! It is perhaps the complexity of these ingredients and tedious preparation, that Nam Kao Todt seldomly appears on the menus of Thai restaurants outside of the Kingdom. We bring you this special dish to Falls Church, VA at Rabieng- home of Thai country comfort cookin'!